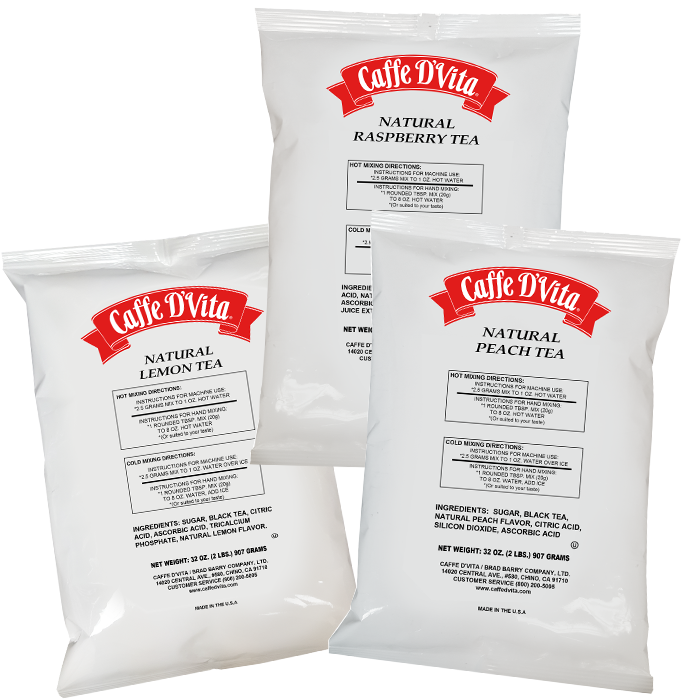 Our premium Natural Tea beverage mixes from Caffe D’Vita – Naturally delicious, always with premium ingredients! We offer natural flavors for our classic lemon tea, our refreshing raspberry tea with a hint of hibiscus, and our crisp peach tea. These teas can be made hot, over ice or even blended! Each way is delicious, quick and refreshing.